It’s natural to avoid making sales calls. Especially for the introvert and internal thinker. (I am both.) I love talking to people, but when it comes to reaching out to someone I’ve never met on the phone I have resisted. I also know that, to grow my business, someone needs to be reaching out, following up and closing deals - whether it’s me as the business owner, or my sales team, someone must be prospecting and selling. Leads need to be generated, nurtured and closed. Inbound lead generation is ideal, and it can take time to ramp up a steady flow of inbound leads. But, even inbound leads need to be contacted by sales. Obviously, avoiding sales calls is not an option. To overcome my resistance, I needed a way to turn what was not natural into a doable, systematic process that produced results that even an introvert like me can do. That’s what I found in the Hubspot Pipeline Generation Boot Camp with Dan Tyre. As a new HubSpot partner agency I have received phenomenal support, tools and training. The opportunity to participate in Pipeline Generation Boot Camp was just what I needed. Here is what I learned from the the eight-week training with fellow HubSpot partners. What I learned will apply to your business too. Generating leads and closing more leads is the highest priority for most businesses I speak with - and the area most businesses want to improve. 1. Identify the right-fit prospects. Narrowing down who you’re going to target helps in so many ways. When you contact the right-fit prospects you are more likely to connect. First, identify what qualifies a lead as a good prospect (e.g. size, revenue, industry, location, etc.) Do your research to find good fit prospects. Be knowledgeable about them by researching them on LinkedIn, looking at their website, competitor's websites and social media. You’ll have a lot more to talk about. 2. Relax, connect, be human. Building rapport and trust in the first 15 seconds is what makes a connection possible. Find something you have in common with the person you’re calling or some way to relate to them as a person. “How are doing today?” (pause, pause, pause) Have you taken your summer vacation yet? Are you a beach person or do you like hiking?” By making a connection in the first few seconds you help them to relax, too. Use humor. Making your prospect laugh in the first few seconds is the holy grail of prospecting calls. When reaching out to call someone we’ve never met, we can feel uncomfortable and tell ourselves that the person on the other end might be annoyed by our call. In fact, that’s not the case very often. A 2007 survey by Marketing Sherpa, a research firm that tracks what works in the marketing profession found that only 11 to 17 percent of business prospects were annoyed by getting an unsolicited cold call, and the reason is quite fascinating. The person receiving the cold call is in a fear state. 3. Listen. Be sensitive to the other person’s response and respond with respect. 4. Always be helping - give, give, give - never, ever sell on the first prospecting call. I am now always prepared to offer tips and suggestions and be helpful wherever I can. I can always find something on the website of a prospect that I can complement and also offer suggestions to have it work a bit harder for them. All I ask in return is to know more about their business and what they might need help with. I’m becoming more skillful at surfacing that need that would give me the opportunity to suggest an Explore call where I can further understand whether there is a good fit. I’ve learned to be ready with several agency positioning statements to help my prospect relate and identify areas I might be helpful. I have a format with bullet points to follow, and even a way to physically prepare. I’ve learned to stand in front of the mirror while making calls to be sure I’m smiling and my energy is high. 6. Call and email. Email and call - 4 times. Rejection is not fun but I don’t assume that because I have not gotten a return call to my voice messages or return email that my prospect is not interested. 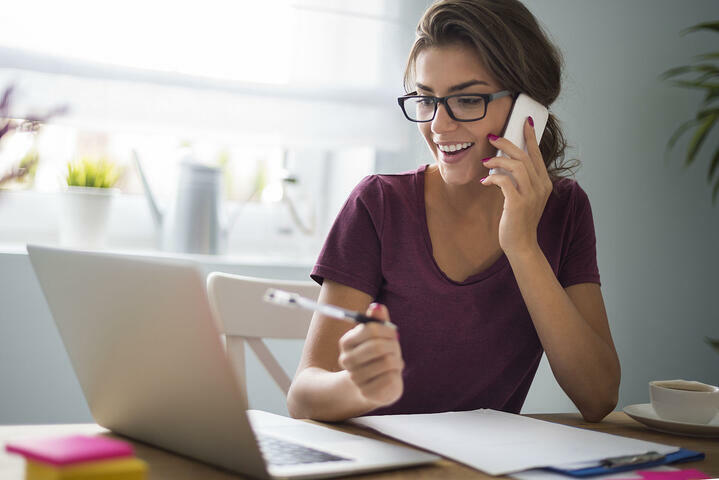 It is the sign of a professional to follow up your calls with email and follow up your email with calls, and contact each prospect four times. Role play and practicing new skills over and over is necessary until they come naturally. Thankfully, I have the opportunity to work with other Hubspot partners in the boot camp and beyond. Be confident and courageous. Learning a new skill can be bumpy and uneven. I’ve learned to keep going even in the face of being hung up on when I wasn’t yet skillful in establishing a connection. Just keep going. It gets easier. I promise. 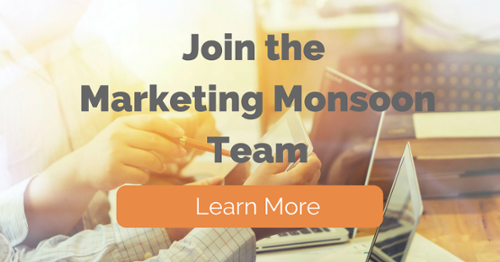 Marketing Monsoon, LLC is a growth agency and HubSpot partner. We specialize in helping businesses in the Human Resources sector to fill their funnel from top to bottom with qualified leads, and close more leads faster with sales enablement services. Find the gaps in your pipeline now. Contact us for a Full Funnel Evaluation. Entrepreneur | CEO | Lead Generation Systems Expert | Inbound Marketing Expert Through Marketing Monsoon she has helped hundreds of business owners to develop automated marketing systems with their website. Ms. Burch has a background in organizational development and leadership development in large healthcare organizations. She is a Graduate Master Business Coach.